Fans of the original science-fiction disaster film of 1996 from prominent Hollywood director Roland Emmerich may very well be eager to see Independence Day: Resurgence when it finally sees theatrical release later this June. With a cast of both returning and new cast members and characters filling out the bill of the new movie, the alien invasion of Earth only just barely avoided the first time around is likely to be far larger in terms of scale and thematic scope, if the latest feature length trailer is to be believed. Emmerich recently came forward to address noted former star Will Smith (Suicide Squad) and his absence from the new film, with the decision to blend both new and old cast members all being part of a plan to revamp the entire motion picture property for newcomers and die-hard fans of the original film of 1996 alike. On that note, the latest word from the director of Independence Day: Resurgence suggests even more to come from what is being described as a genre motion picture made up of "big ideas." "I had one big idea [for the movie] which was to create a totally different world that’s enhanced by alien technology and that the whole world was united. Secondly, I said ‘Okay, so, the Mothership this time, comes down to Earth and it’s as big as the Atlantic Ocean.’ These two ideas pretty much drive the film. We tell the story of the stepson [played by Jessie Usher], who grew up in the shadow of a very prominent father. That is the story." "This time we tried to stay away from as much of [that patriotism] as we could. It’s a little bit more complicated than other films, structurally, and naturally we have more characters than in the first one, because we have some sort of a hand-off from older to younger generations." Just how capably the new cast (including Liam Hemsworth, Jesse Usher, and Joey King) fare alongside returning cast members (including Jeff Goldblum, Bill Pullman, Judd Hirsch, and Vivica A. Fox) remains to be seen, though everyone appears to be encouraged by Emmerich's direction in the video featured above. Independence Day: Resurgence has quiet the task ahead of it if it hopes to surpass the bar set by the original film from 1996, especially when considering the pull it will have to establish with new audience members unfamiliar with the original film. 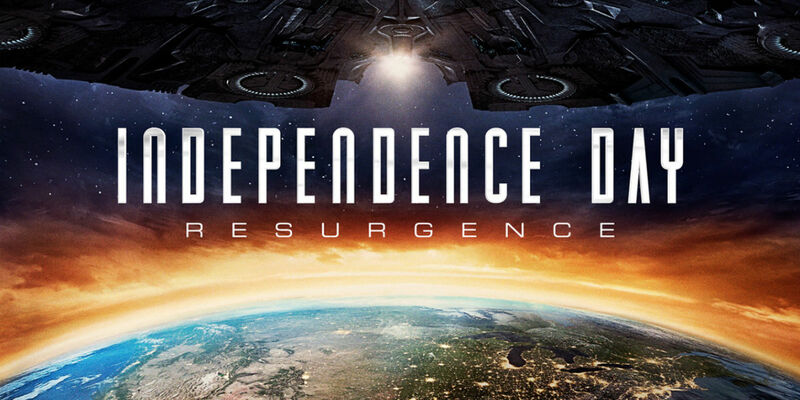 Independence Day: Resurgence will see theatrical release in the U.S. on June 24th, 2016.